Dubai: A nine-year-old Syrian girl known for tweeting about the Syrian conflict told leaders gathering in Dubai on Sunday that “education is the last hope for Syria”. 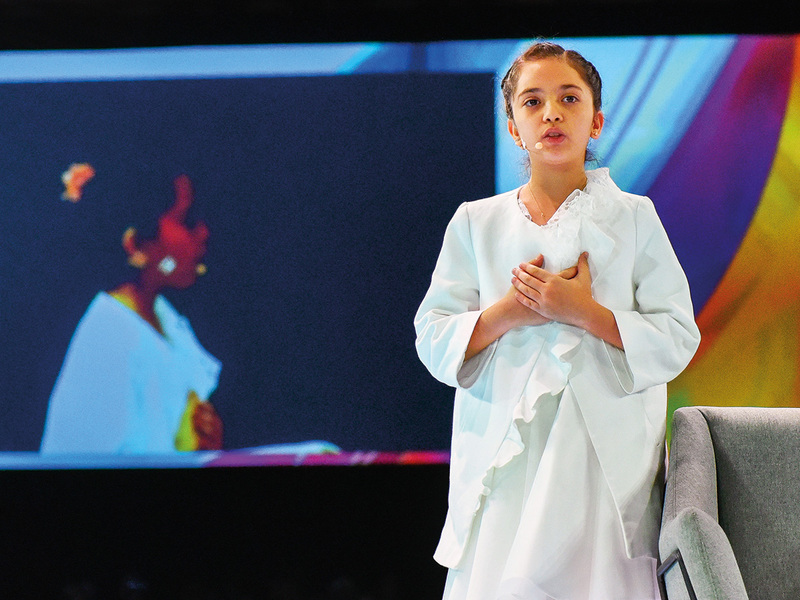 Bana Al Abed told the Global Education and Skills Forum (GESF) “as the voice of the children”, that, “War has destroyed everything in my country, and education is one of them”. She warned GESF delegates — politicians, CEOs, educators and other leaders — that “millions of children didn’t have good education, many children never went to school; others have to work for their families so they can get food”. She now goes to school in Turkey where she lives with her family. Speaking to Gulf News after her talk, Al Abed said she wants to be a teacher “because teachers are so important in our lives and they are number one, and I really want to teach children a different language”. Al Abed said she is busy with school and homework on schooldays but on the weekends she likes to do gymnastics. She added that “I love all subjects”, mentioning science, English, maths, social studies, computers and Turkish. Her Twitter account is managed by her mum. In 2016, Al Abed started tweeting about the air strikes and siege in Aleppo. A pinned tweet on her account says: “My name is Bana, I’m seven years old. I am talking to the world now live from East #Aleppo. This is my last moment to either live or die. — Bana”. She continues to tweet about the plight of children impacted by the Syrian conflict as well as about moments in her life now in Turkey and her travels. Tweeting from GESF, she wrote: “I had the opportunity to address 1,500 delegates @GESForum about the need of education for the Syrian children. Syrian children will be a lost generation if they don’t get education now. #GESF2019”.